The build provides the client with easy site management and navigation to webpage contents including the calendar plugin. This site build gives the owner complete control over content and appearance. 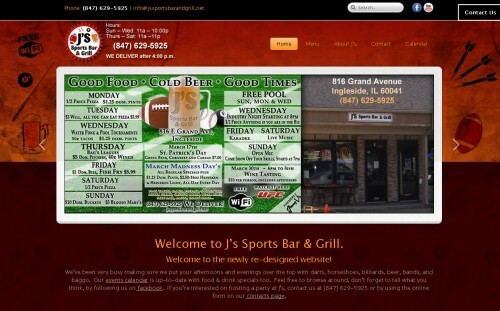 The owner can login, create content users, add, modify, and remove events, drink, and daily food specials as they change. This should keep the site up to date and fresh with new content. 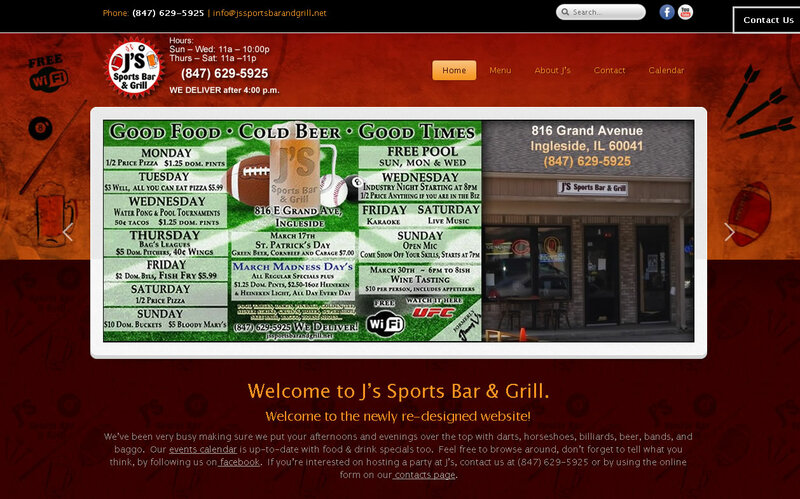 The site was skinned with the feel of the bars location in mind giving it a rustic, cozy, family and kid friendly appeal all while maintaining appearance qualities of a sports bar that has nightly events featuring games, sports, live music, club dj’s and bands. Most hosting services make it difficult to give new website users control of content much less appearance aspects other than the default template provided and rarely if ever, do those services come with plug-ins or widgets. This build includes lots of interactive plugins, a calendar layout that can be easily modified by the site admin, seo, and an auto archiving algorithm so that keywords are automatically generated into the site’s search bar and ultimately into a fashion read and understood by site crawlers such as Google and yahoo.